I will soak while watching the garden, fountain fresh hot water. 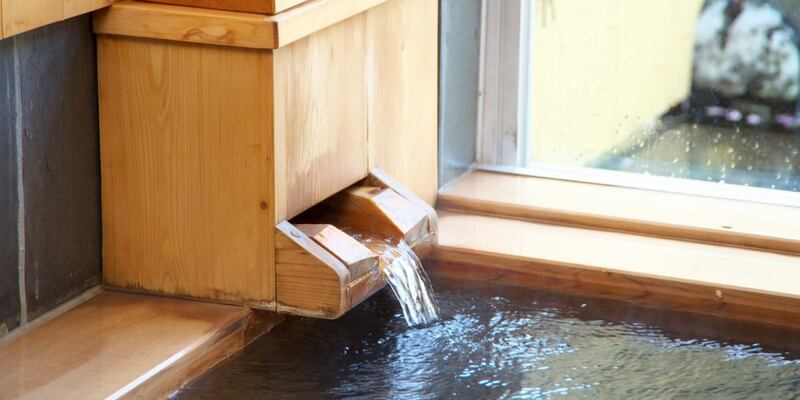 You can enjoy two kinds of inner bath with hinoki scented hinoki in the garden outdoor bath where you can take a bath while watching Nishikigoi swim by side. ◎ We are preparing cold water to wear the warm hot body of the bath in the day off. ◎ We have children's chairs. 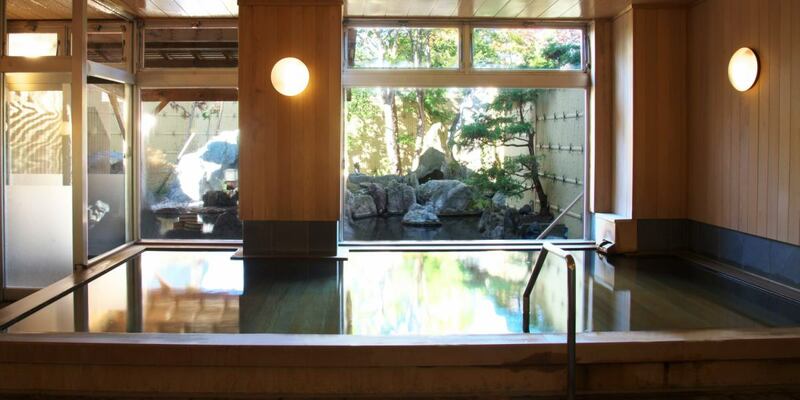 While watching the garden where Nishikigoi swims, with a fountain of fresh water, heal many days of fatigue. 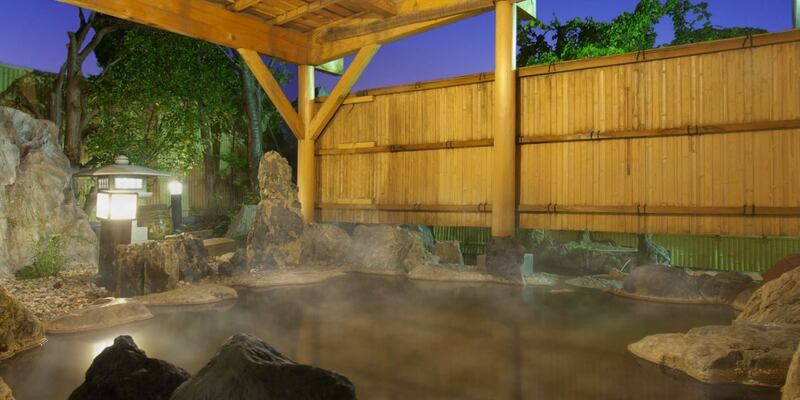 It is surrounded by the scent of hinoki while looking at the elegant Nishikigoi which is swaying in the garden and the water surface. 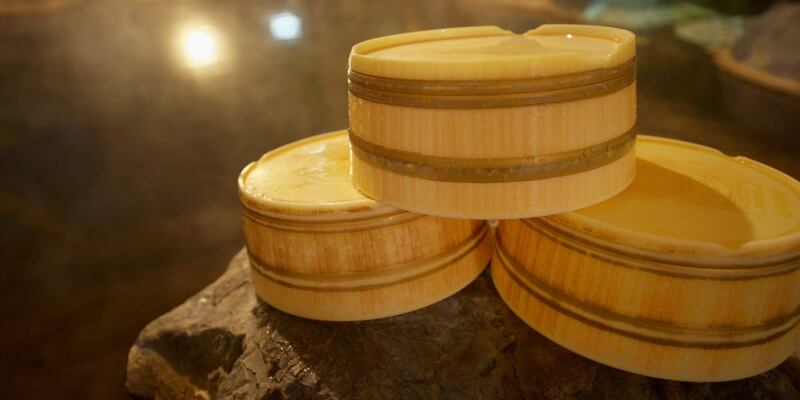 We do not circulate so that you can enjoy fresh hot springs at all times, we are offering it all over it.Neutral hot water of PH 6.8 is also a tender quality for small children. In 1653 (Adaptation 2 years), Matsumae lord Kyushu, Takahiro (Children's Chiharu Maru) suffered from intractable diseases, the disease worsened day by day, one night my mother's refreshment clinic said, "To the east of Matsumae castle I will dream of recovering any disease if I go to a certain hot spring.It will be a pleasure to hear the spirit of Senkatsu Maru on that spa soon.In the reputation of the clan, I reconstructed Yakushido, dedicated the crocodile mouth.It is said that this is the origin of Yunokawa Onsen.